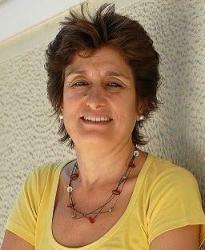 Maria Stratigaki is Vice Mayor of Athens for Social Solidarity, Welfare & Equality since September 2014. She is Associate Professor at the Department of Social Policy of Panteion University teaching on gender, social policy and gender equality policies. She served as the Secretary General for Gender Equality at the Hellenic Ministry of Interior (2009-2012). From 1991 to 1999 she worked at the European Commission’s Unit on equal opportunities between women and men (DG EMPL). Furthermore, during her professional career she has also been the General Director of the Research Centre of Gender Equality – KETHI (1999-2002) and the Centre for Gender Studies of Panteion University (2007-2009).